Cruise Elite features Royal Caribbean’s weekly Going, Going, Gone! Sale. Click the image to your right to see all of this weeks special deals. Call the Crew for details or exclusive booking. Cruise Elite features Celebrity Cruise’s weekly Exciting Deals. Click the image to your right to see all of this weeks special deals. Call the Crew for details or exclusive booking. Need help finding something? Check out our helpful links to the right! © 2017-2018 - Cruise Elite, Inc.
*Cruise must be booked between April 1 – May 7, 2019 (“Offer Period”). Offer applies to select sailings departing on or after May 1, 2019. “BOGO” offer includes 50% off cruise fare of second guest booked in the same stateroom as first, full-fare paying guest (“BOGO50”). “BOGO” Offer also includes 25% cruise fare savings for third guests and higher booked in the same stateroom as the first two qualifying guests. 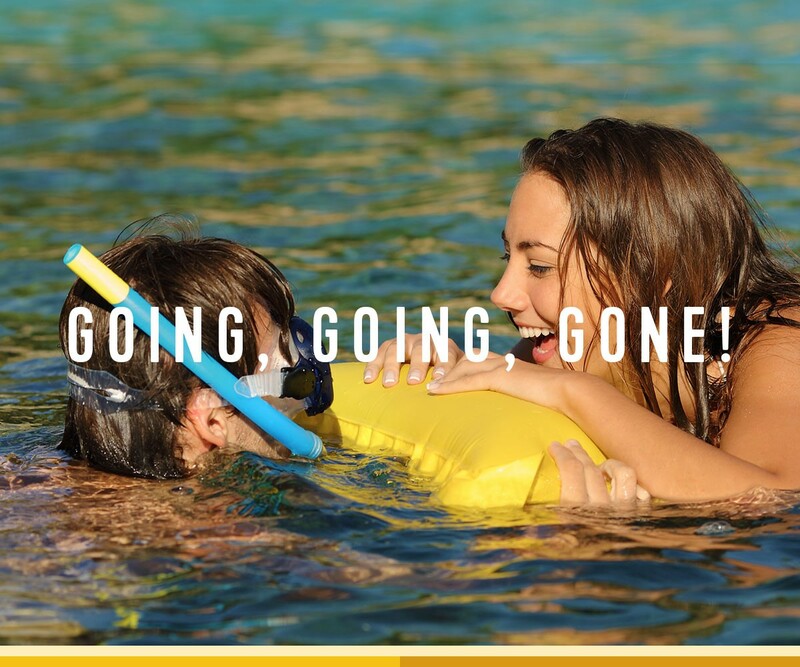 Kids Sail Free: provides free cruise fare for 3rd guests and higher who are 12 years old or younger on select 4-night or longer Alaska, Bahamas, Bermuda, Canada, Caribbean, CaribNE, Coastal, Cuba, Europe and Hawaii sailings departing between May 1, 2019 – May 15, 2020. Offer excludes Summer sailings (Sailings between May 15 – August 31, 2019), 2019 Thanksgiving sailings (Sailings between November 23 – 30, 2019), Holiday sailings (Sailings between December 15, 2019 – January 3, 2020), President’s Day sailings (Sailings between February 14 – 17, 2020), Spring Break sailings (Sailings between March 14 – 23, 2020) and Holy Week/Easter sailings (Sailings between April 3 – 17, 2020). NRDB cancelled prior to final payment due date will receive a future cruise credit in the amount of the deposit minus a 100USD/CAD per person service fee (“FCC”). FCC is non-transferable and expires after 12-months from issue date. 100USD/CAD per person service fee applies to changes to NRDB ship or sail date. Deposits made toward Guarantees and Grand Suites and higher categories are non-refundable and are subject to NRD Booking Terms. Combinability: BOGO and Kids Sail Free are combinable with each other as well as with promotional OBCs, NextCruise offers, Instant Savings, restricted discounts (for example, Seniors, Residents, Military), Promo Code driven offers, Free Upgrades, Crown and Anchor discounts and Shareholder Benefits. Offers are not combinable with any other offer or promotion, including, but not limited to, Standard Group, Interline, Travel Agent, Travel Agent Friends and Family, Weekly Sales Events, Net Rates. Promo Code driven offers are based on select ships and sail dates and must be applied at time of booking, limit one promo code per booking. General Terms: Savings applied to cruise fare at checkout. Onboard Credit and Instant savings do not apply to China departures. Instant Savings will be reflected in checkout as “Dollars Off” or “Savings”. Onboard Credit will be reflected in checkout as “Ship Spend” or “Ship Credit”. All other charges, including, but not limited to, taxes, fees and port expenses, are additional and apply to all guests. 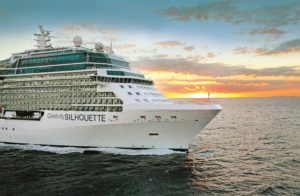 After the Offer Period, the offer will be removed from the booking if the guest cancels and reinstates the booking or rebooks into a new booking on the same ship and sail date, applies a fare change, or changes the ship or sail date of the booking; certain other changes to the booking may also result in removal of the offer. Offer applies to new, individual and named group bookings confirmed at prevailing rates. Individual reservations may be transferred into an existing group, assuming required criteria are met; full deposit will be required at time of transfer. Failure to apply the required full deposit amount may result in the cancellation of the booking. Single occupancy guests paying 200% cruise fare are eligible for full amount of offer; single occupancy guests paying less than 200% cruise fare are eligible for a prorated amount of the offer. Offer available to residents of United States, Canada, Puerto Rico, and select countries in the Caribbean. Prices and offers are subject to availability and change without notice, capacity controlled, and may be withdrawn at any time. Refer to www.RoyalCaribbean.com for complete terms and conditions. Royal Caribbean International reserves the right to correct any errors, inaccuracies or omissions and to change or update fares, fees and surcharges at any time without prior notice. ©2019 Royal Caribbean Cruises Ltd. Ships’ registry: Bahamas. excludes Galapagos, Suez Canal, transatlantic and transpacific cruises. Celebrity’s cancellation policy for details. within final payment. Visit www.cruisingpower.comfor additional terms and conditions. $400 for Suites. Savings applied to cruise fare at checkout . Offer applies to first two guests in the stateroom. on 04/01/19 – 12/31/19 sailings and to all third and fourth passengers on 01/01/20 – 04/30/21 sailings. Offer based on guest age at the time of final payment. complimentary amenities: Premium Beverage Package, Unlimited Internet Package, $150 per person onboard credit (“OBC”), and Prepaid Gratuities. PM on the final night of the cruise. Prepaid Gratuities option provides for prepaid stateroom, waiter, assistant waiter, and headwaiter gratuities in the amount suggested by Celebrity’s guidelines. Gratuities will be applied to the reservation within 10 days of booking date. is capacity controlled, availability varies by sailing, and eligible staterooms may sell out. All offers are non-transferable and applicable only to the Offer Cruise. are named prior to the start date of the Offer cannot be cancelled and rebooked under this Offer. Norwegian Sky and Pride of America sailings are not eligible for this offer. Offer is not applicable to categories IX, OX, BX, or MX (Sail Away Categories). Offer excludes 3 – 5 night Norwegian Sun sailings departing from Port Canaveral. Free at Sea choice(s) must be selected at least 24 hours prior to sailing and cannot be changed on board. Bookings made within 24 hours to departure can choose promotion at time of booking. Government taxes, port expenses & fees, discretionary on board service charges and/or gratuities are additional. Applicable to NCL MIAMI, NCL INTL, AUSTRALIA, NCL BRAZIL, and NCL ASIA. Not applicable to CE and UK offices. Eligible guests are entitled to one beverage per person per transaction. Includes a variety of spirits and cocktails, wines by the glass and bottled or draft beer up to $15 USD. Includes fountain soda and juice, and non-alcoholic beer. bottled wine, mini bar purchases, fresh squeezed juices, Lavazza coffee beverages, wine dispenser, energy drinks or vending machines. Guest is responsible for 20% gratuities on the retail value of the Ultimate Beverage Package ($17.80 USD per person per day) and/or Soda Package ($1.59 USD per person per day) prior to cruise. Retail value of Ultimate Beverage Package is $89.00 USD per person per day. Package price is subject to change. Retail value of the Adult Soda Package is $7.50 USD per person per day. Package price is subject to change. 20% gratuities on the retail value of the Ultimate Beverage Package and/or Soda Package are included when booking through the Australia office. When booking through the Australia office, gratuities related to beverage and soda packages are included. 20% gratuities on the retail value of the Specialty Dining Package are included when booking through the Australia office. Jazz Brunch, Wine Lovers and Murder Mystery lunches, and beverages are not included as part of the Specialty Dining Packages. Ocean Blue ($10 USD), Bayamo ($10 USD), Cirque Dreams and Illusionarium ($10 USD regular seats/$15 USD premium seats/$35 USD VIP seating on Breakaway), Sushi Bar ($7 USD), Pincho Tapas Bar ($7 USD), and Raw Bar ($7 USD). Internet package is not available at Harvest Caye. On Breakaway, stateroom receives an internet package of 250 minutes or 1000 MB of data. Shore excursion credit can only be redeemed by calling 1-866-625-1167 or booking onboard. cruise. Offer applies to new individual bookings and to staterooms in noncontracted group bookings, is nontransferable, and is not combinable with any other offer. Changes to a booking may result in removal of an offer. Offers and prices are subject to availability, cancellation, and change without notice at any time. ©2018 Celebrity Cruises Inc. Ships’ registry: Malta and Ecuador.